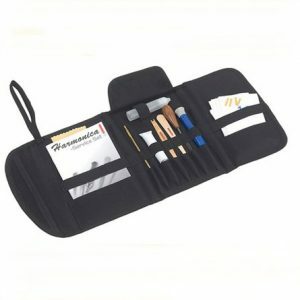 Hohner Harmonica Instant Workshop Toolkit. 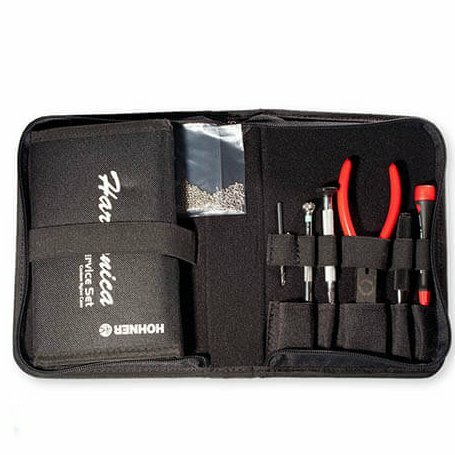 This toolkit contains all the tools in the Hohner Service Set plus other specialist tools required for maintaining your harmonicas. It is primarily for the repair of chromatic harmonicas however it can be used for all harmonica repairs. 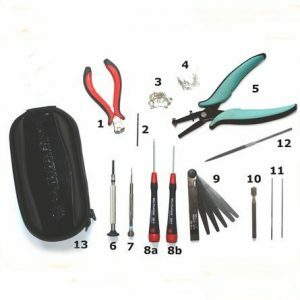 The Instant Workshop Toolkit contains 12 tools, including combination de-riveting tool to remove the old rivet and punch a hole in the reed, reamer to ream up the reed plate and reed. 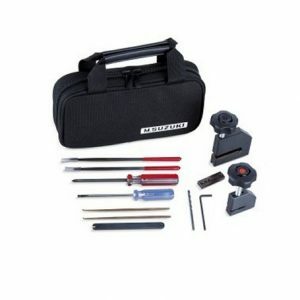 The Universal holder holds the reamer and is used to set the stud bolt in place, drill bit, tap (for thread cutting), star nut spanner to secure the reedplate’s star nuts, tuning scraper, reed lifting blade with reed wrench, hock tool, fine tuning file, screwdriver with flat and cross point, and another small screwdriver. This kit also includes a tube of valve glue, slide oil, set of Windsavers, 50 special nuts, 50 stud bolts and a cleaning cloth. Instructional booklets and a DVD explains how to complete your repairs. All this comes in black zip up canvas case. Due to UK postal restrictions we will remove the slide oil and tube of glue if sending overseas.